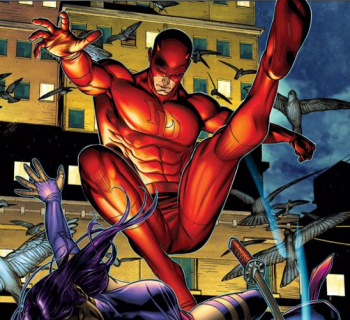 Iron Fist, Luke Cage, Jessica Jones and Daredevil will get their time in the spotlight in 2015. Netflix and Disney join forces in a titantic team-up to bring Marvel's Flawed Heroes of Hell's Kitchen to life. A four series epic - each with thirteen episodes - will start with Daredevil, then Jessica Jones, Iron Fist, and Luke Cage. Once all that's done, there will be a culminating The Defenders mini-series event, with the heroes in a dream team facing off against the worst that New York has to offer. "This deal is unparalleled in its scope and size, and reinforces our commitment to deliver Marvel's brand, content and characters across all platforms of storytelling," says Marvel President Alan Fine. "Netflix offers an incredible platform for the kind of rich storytelling that is Marvel's specialty." The series will be a Netflix exclusive, and will begin in 2015. Netflix is "thrilled" to be bringing Marvel's characters to its network, says Chief Content Ted Sarandos, and no wonder. It's yet another coup for the on-demand company, but then it already has a very strong relationship with Disney. From 2016 onwards, it will be the exclusive television service for first-run, live action and animated Walt Disney movies too, and that includes everything from Pixar to Lucasfilm, plus, of course, Marvel Studios. Luke Cage, now there's a blast from the past. Hell's Kitchen is a bit more gentrified since his 1970s heyday, but it'll be fun seeing him taming those not-quite-so-mean streets again!